For all of you out there who are building new homes and want to be smart meter free, there is a good news. 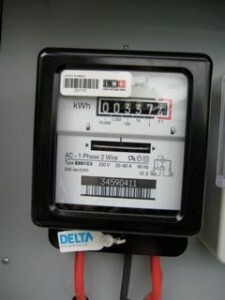 A Ferraris meter is a type of electricity meter that cannot produce microwave radiation and as it has no electronics and therefore no data storage capacity, Time of Use tariffs (see below) cannot be applied to electricity metered through a Ferraris meter. One good reason for refusing a smart meter is that the “‘time of use” (TOU) pricing plans that a smart meter installation can facilitate can make electricity more expensive. Please see the link below for details.